So What, He Wasn’t Born In Atlanta??? 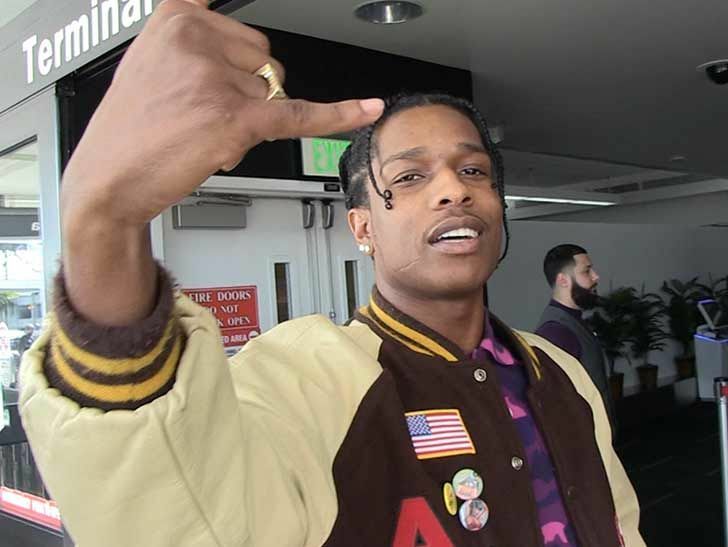 A$AP Rocky ﻿says there’s no shame in 21 Savage‘s true birthplace … because he’s totally down with his brothers from across the pond!!! We got A$AP at LAX Tuesday, and you gotta hear him professing his love for all things British … including his fellow rapper. As you know, it’s been revealed that 21 Savage was actually born in the United Kingdom — despite him repping the ATL — with the truth coming out after he was taken into custody by ICE for possible removal from the U.S.
It’s interesting … A$AP and 21 have collab’d on songs in the past, and A$AP says he too had no clue he was working with a Brit. As for 21’s ongoing detention … A$AP says he’s hopeful his friend will soon be walking the streets in Atlanta again. No word on if A$AP is a big fan of bangers and mash.